The Rais Pina is discontinued and sold out. Please consider the Rais Viva 100 L or Rais Viva 120 L instead. 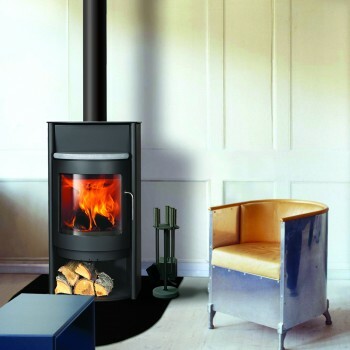 The Rais Pina is the ultimate modern stove, an expression of radical new thinking in stove design. Poised on a simple base, the Rais Pina is an elegant and unique piece of furniture that can act as a divider or focal point of any living space. 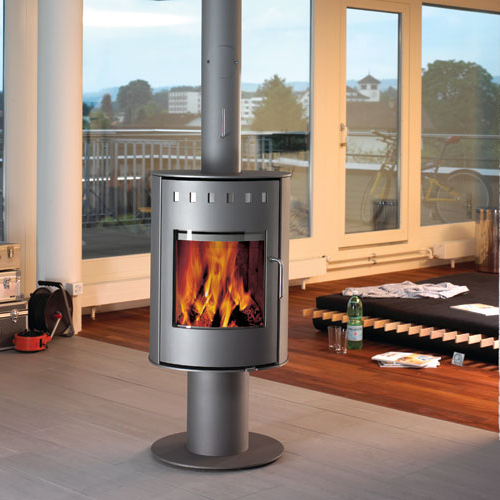 This stove can be accessorized with a turntable that can be turned through 360 degrees to offer a view of the flames from anywhere in the room. 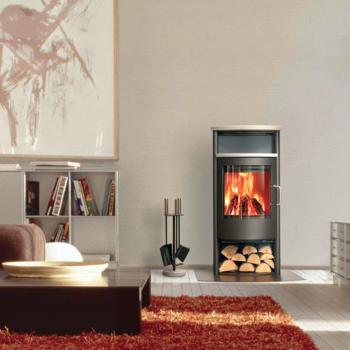 The firebox utilizes the latest in burn technology to ensure clean, efficient and responsible burning. Innovative and futuristic in style, the Rais Pina lends itself to contemporary lifestyles and homes without sacrificing usability. 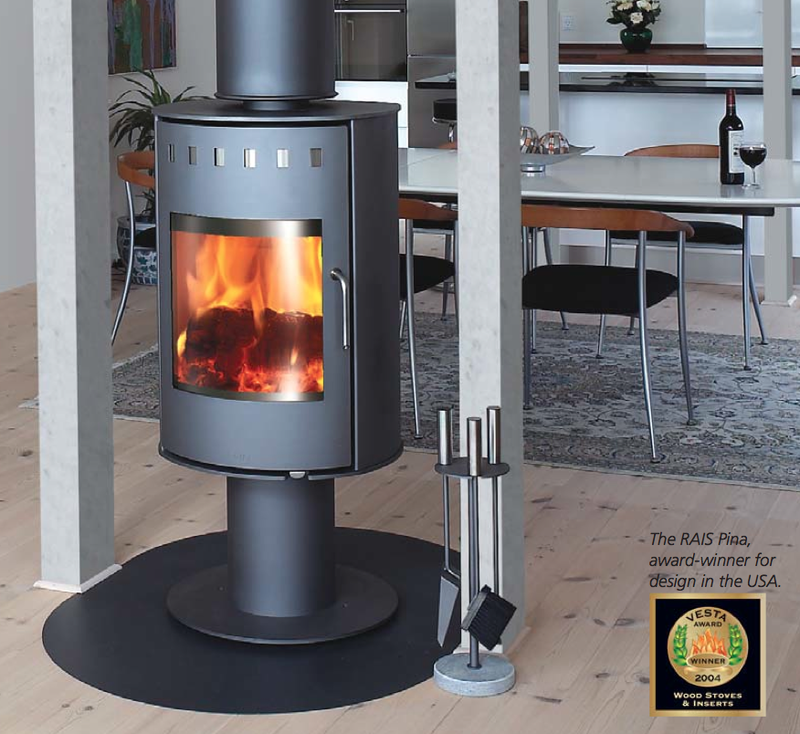 The Rais Pina benefits from years of stove-designing experience and successfully exploits the latest in combustion technology to provide unbeatable energy utilization. of the stove never get too hot. Convection works by pulling cold air into the system at the base of the stove and up through the convection duct that is located along the combustion chamber of the stove. 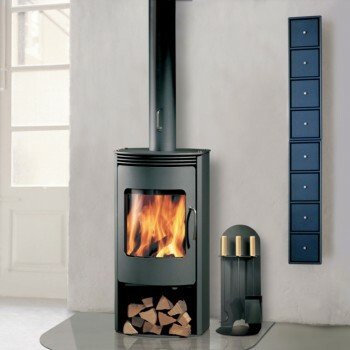 The heated air is released from the top of the stove, creating rapid air circulation in the room.